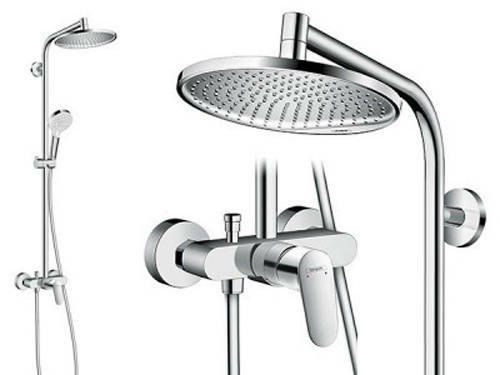 Hansgrohe > Crometta S 240 1 Jet Showerpipe Pack With Manual Lever Handle. Hansgrohe Crometta S 240 1 jet Showerpipe shower pack in chrome. With manual valve, riser rail, head, handset and hose. 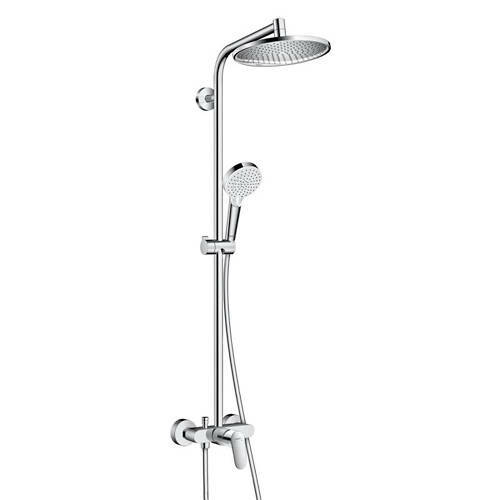 Crometta 100 Vario hand shower included with spray type adjustment by turning. Handset spray pattern: Rain, IntenseRain. 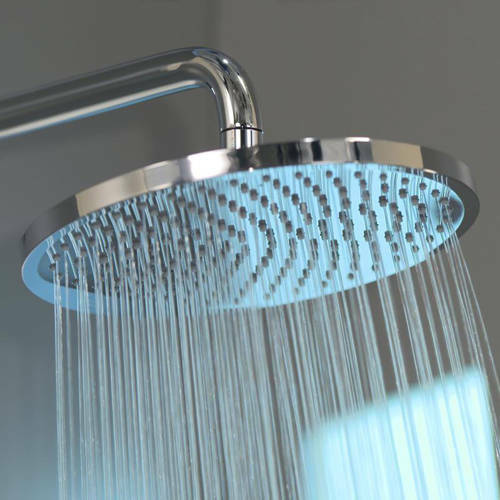 Crometta S 240 round overhead shower head (240mm). Shower arm length: 350 mm. Exposed manual shower valve with single ever handle. Operating pressure: 1.8 bar to max 10 bar. Flow rate Rain 15 l/min at 3 bar. Design Award handset winner 2016.